Rev. Melvin J. Mungin is a native of Mount Vernon, NY with a godly influence surrounding him all of his life. Rev. Mungin grew up as a member of the First Union Baptist Church, Bronx, NY and received the Lord Jesus Christ as Savior at a young age. At First Union he received his license to preach the Gospel in 1992 and was ordained to the Gospel Ministry in 1996. In 1999, Rev. Mungin transferred his membership to the Greater Centennial African Methodist Episcopal Zion Church, Mount Vernon, NY under the pastorate of Rev. W. Darin Moore. At Greater Centennial, he served as an overseer of Family Life Ministries – encompassing ministry to young adults, singles, married couples, and those in recovery for substance abuse. In June, 2002, Rev. Mungin was appointed to serve as pastor of the Institutional African Methodist Episcopal Zion Church in Yonkers, NY and was subsequently ordained as an elder in the A.M.E. Zion Church in October of the following year. Rev. Mungin served Institutional faithfully until September 2006 – when he was appointed to the St. John A.M.E. Zion Church in Middletown, NY. In January, 2013, Rev. Mungin was appointed Pastor of St. Paul's African Methodist Episcopal Zion church in Spring Valley, New York. He has a firm belief that "if the people of God get connected with the word of God; utilizing the power of God… the will of God can be accomplished in a mighty way." He has a genuine love for people and a passion for the Word of God that spills over into all aspects of his ministry. Rev. Mungin also serves as an instructor within the A.M.E. Zion Church, teaching History in the Westchester District Studies – a program of studies for new ministers within the A.M.E. Zion Church. He has earned a B.A. in Mathematics from the University of Pennsylvania and a Masters of Divinity from Union Theological Seminary (NYC). He is married to Sonia, with whom he has two children: Jared and Joseph. Sis. 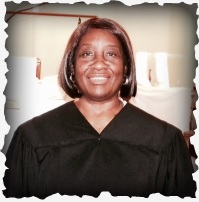 Inez Thomas presently serves as an associate minister at St. Paul’s. She is a native of Alabama and a life-long member of the AME Zion Church. After serving at the Mother Walls AME Zion Church in Bronx, NY, Sis. Thomas relocated and joined St. Paul’s in 2000. In 2012, she received her license to preach. Along with being the worship leader during Sunday worship, Sis. Thomas is currently the Superintendent of the Sunday School, the Co-Director of Christian Education and the Director of the Media Ministry, which she started in 2010. She is presently pursuing a Master of Divinity degree at Alliance Theological Seminary in Nyack, NY.